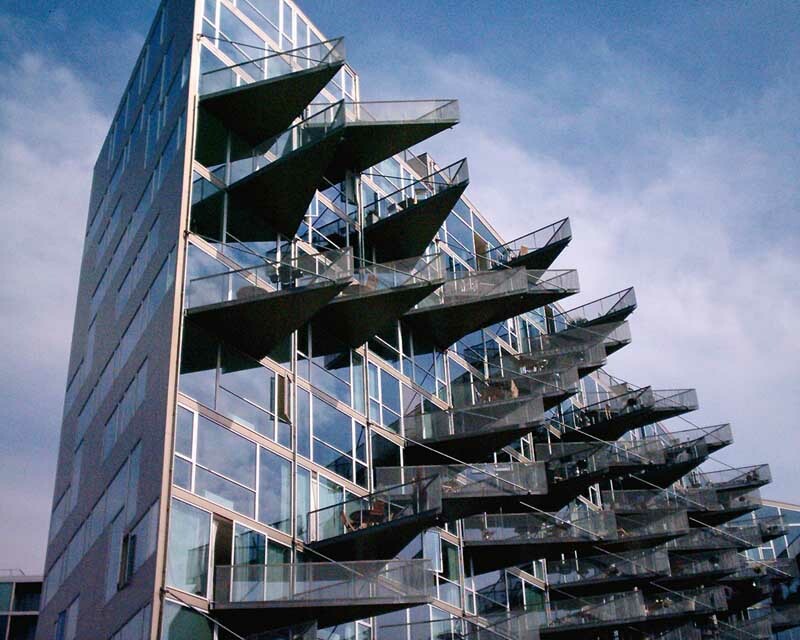 13th January 2017 – Krøyers Plads is a five-story housing project with a significant location in the centre of the Copenhagen harbour area designed by Danish architects Vilhelm Lauritzen Architects and COBE. The award-winning and Nordic Eco-labelled project is now finished. 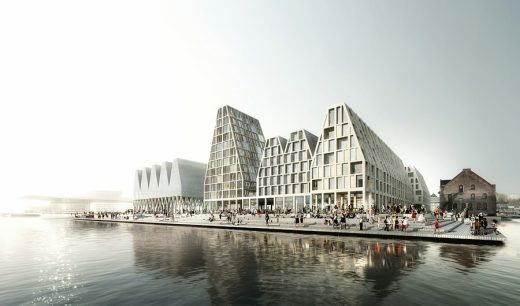 The project is based on a hyper-democratic and contextual approach where folded roofs and architectural heaviness create a dialogue between old and new, and a modern, empathetic interpretation of the architectural uniqueness of the old Copenhagen warehouses. 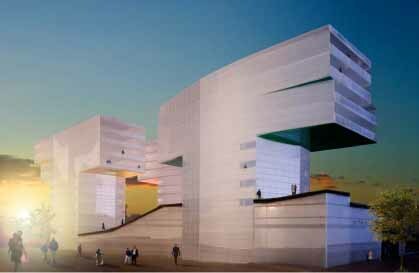 Illustrations: Vilhelm Lauritzen Architects and COBE. Photographer: Rasmus Hjortshøj – COAST. 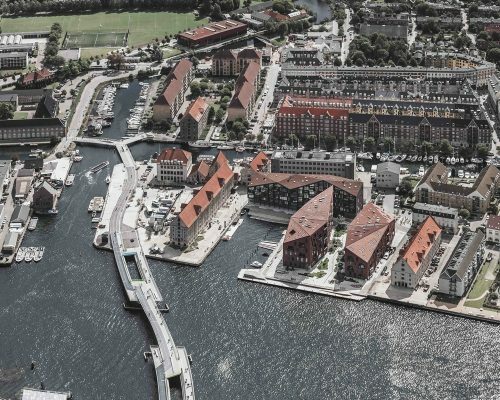 Krøyers Plads is a significant location in the centre of the Copenhagen harbour area. 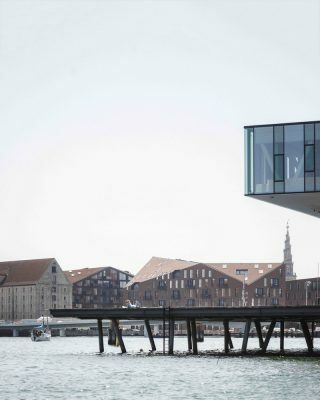 The site constituted a gap in the continuous rows of old warehouses that sit perpendicular to the harbour and was an architectural and political battlefield in Copenhagen for more than a decade. 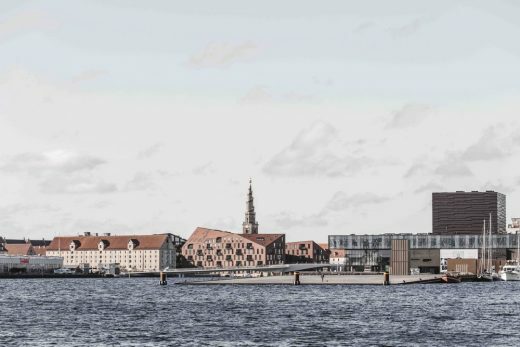 When the final building design for this beautiful historical site was developed by Vilhelm Lauritzen Architects and COBE, many architectural proposals had already been rejected by local organizations and politicians for various reasons. 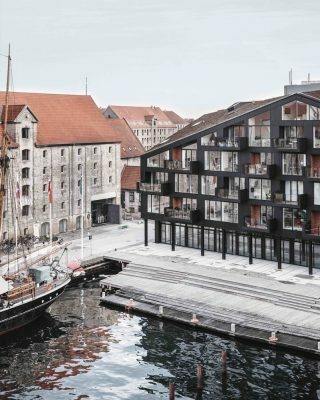 With a prime location in the Copenhagen harbour, opposite the Royal Playhouse, the historical Nyhavn, and next to the world’s best restaurant, Noma, the project consists of 3 five-story housing units with 105 apartments ranging from 79 to 250 m2 in size. The ground floor of the three buildings houses restaurants, shops and a supermarket. 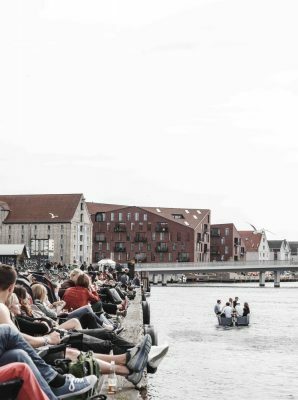 Krøyers Plads is surrounded by a wooden waterfront promenade, which has become a favorit spot to catch the sun in the Danish summers. 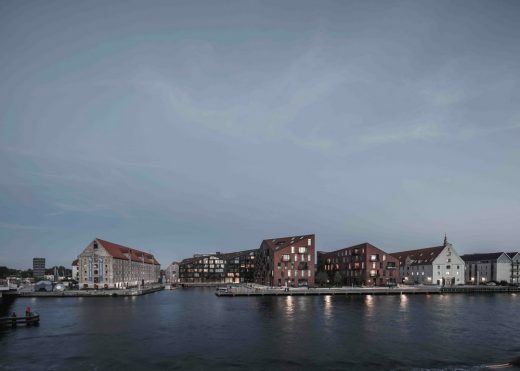 Set between 300-year-old industrial warehouses the new development is based on the constraints and demands from the public voices of Copenhageners and is a modern interpretation of the old buildings that are so characteristic for the harbour front in Copenhagen. 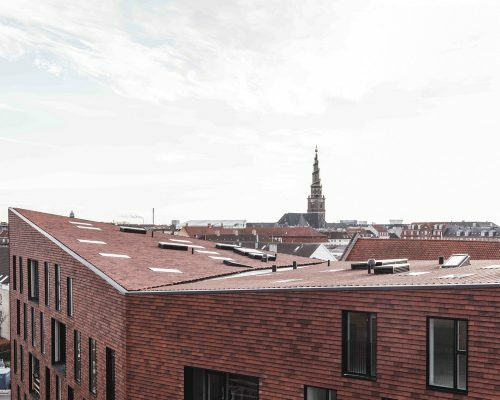 ”The neighbours were for instance invited to help define the height of the buildings and to help select the materials – both crucial for the way the new Krøyers Plads relates to its surroundings. 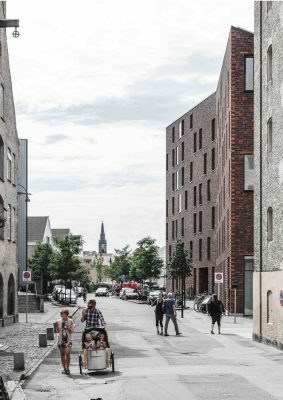 Instead of inventing a new building typology, Krøyers Plads became a reinvention of the one already found adjacent to the site – the industrial warehouse,” says Dan Stubbergaard, Founder and Creative Director at COBE. 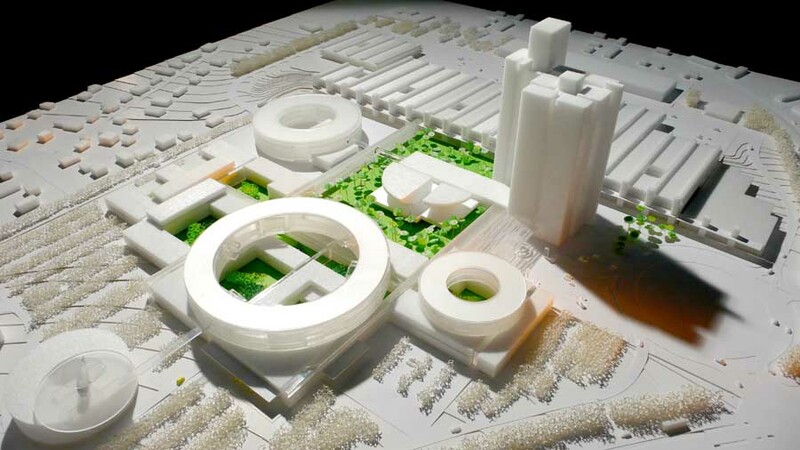 The design is based on a hyper-democratic approach. An architectural storytelling that through a dialogue with the local community strives to create a meaningful and comprehensive infill. 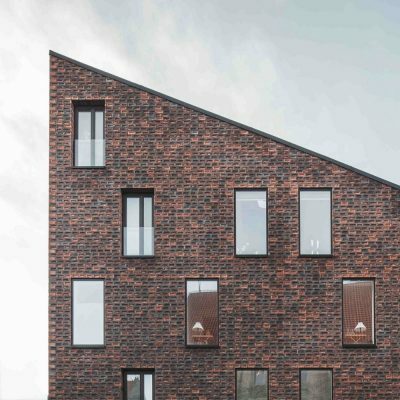 The approach was to translate all significant characteristics of the old warehouses, such as the harbour facing gables, the heavy expression, building height and materiality, into modern design parameters that meet both functional and climatic demands. 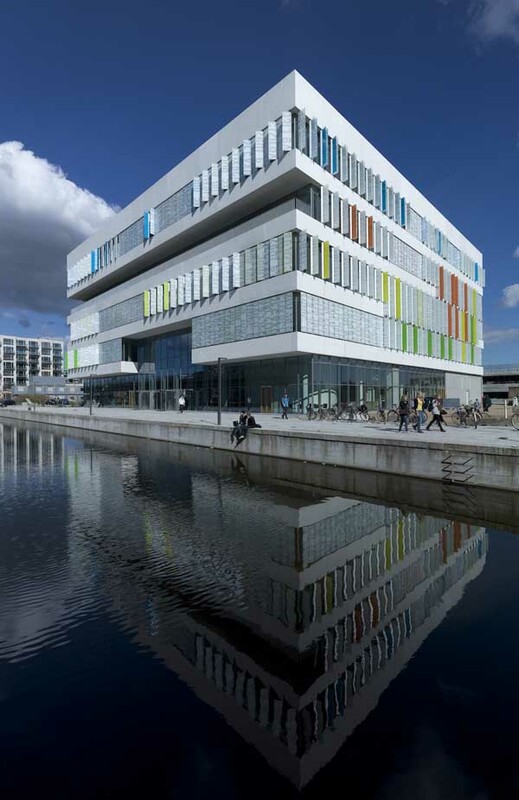 The design by Vilhelm Lauritzen Architects and COBE was begun in 2011. 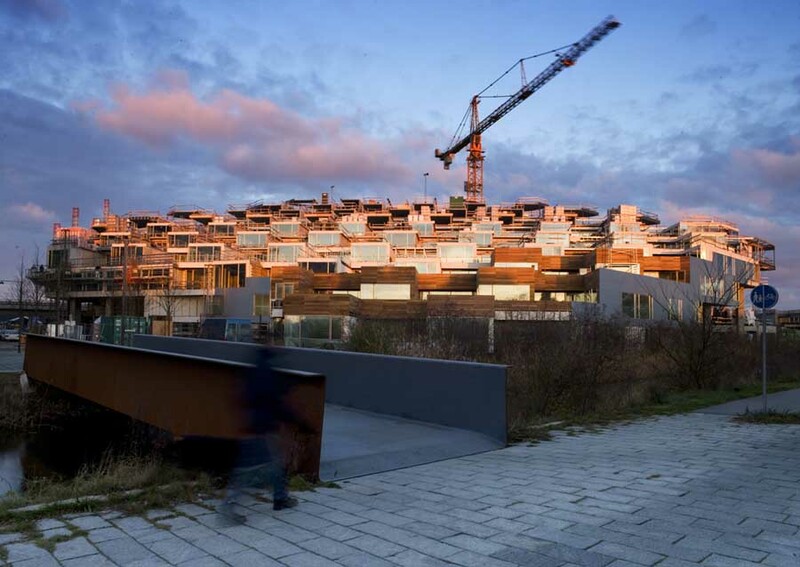 In 2013, construction started and now the modern housing project is finished and the new owners have moved in. Besides the emphasis on site context and public involvement, focus has also been on developing the modern warehouses after a series of sustainability principles, which means that the buildings meet the need for environmental, social, economic and resource-focused aspects of construction. 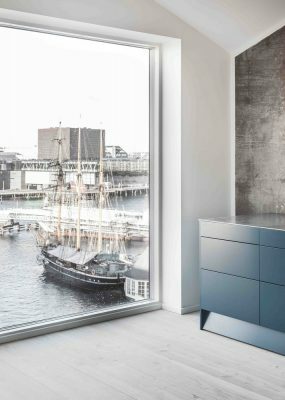 ”From the start we were determined to create the first Nordic Eco-labelled apartment buildings in the world. 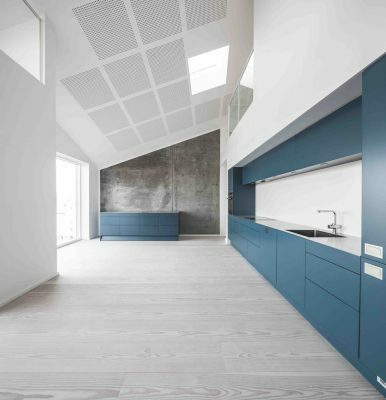 The Nordic Ecolabel is a label that requires very high standards for sustainability – both in terms of environmental and constructional quality,” says Thomas Scheel, partner at Vilhelm Lauritzen Architects. 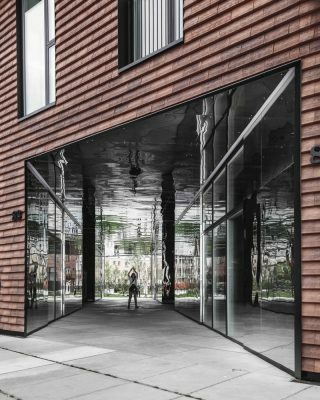 In addition to high demands with regard to the building materials, there are demands for low energy consumption. 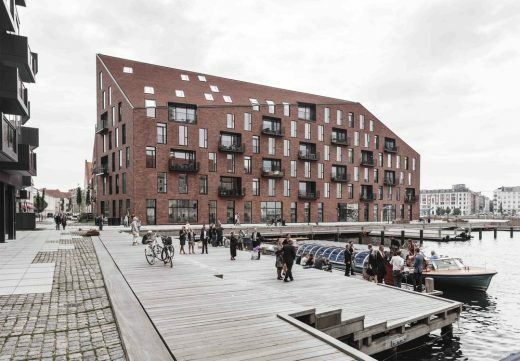 To be awarded the Nordic Ecolabel the buildings must be at least 25 percent more energy efficient than applicable legal requirements – Krøyers Plads is nearly 40 percent more energy efficient than the legal requirements. 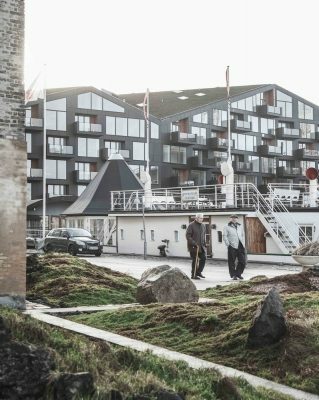 All apartments in Krøyers Plads were sold before construction started, and the entire development was finished in 2016. 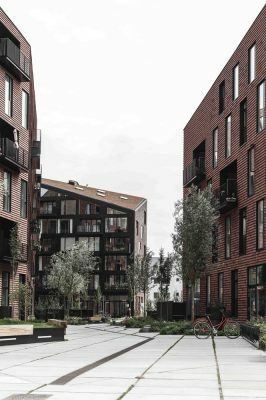 The development won the prestigious MIPIM Award for Best Residential Development in 2015, and has just been announched the winner of the Green Good Design Award in January 2017.
that creates identity and meaning. 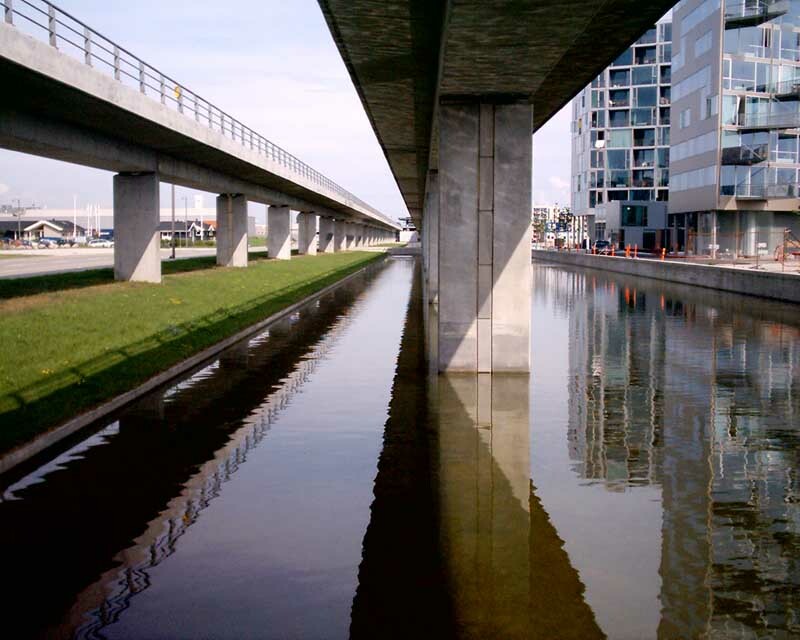 potential and insists on creating increased value for the users and the surrounding environment.